It is rare I have two really catchy titles for my articles, but in this case, I couldn’t choose which one to use. My guest blogger today is Cristina Peña Sainz de Aja from Pamplona, Spain. I know Cristina through e-mail and an occasional Skype. I’ve never met her in person but I know her mostly through her son, Javier (10). Cristina and Family Garcia-Mayoral Peña came into my life when she and her husband (Javier) sent their son (Javier) to the United States to go to The Heights School with our son for four weeks last spring, and, again four weeks this fall. We are part of the program with El Redin school in Pamplona to host students from Spain. 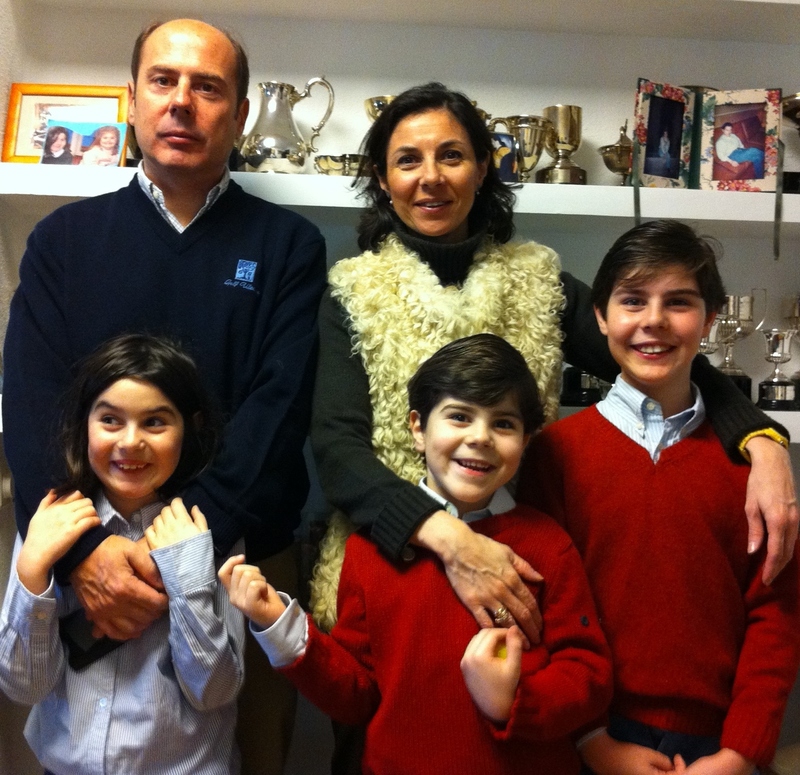 We feel so lucky to have met young Javier and Family Garcia-Mayoral Peña! Surprisingly, there were so many similarities between the two of us beyond having sons near the same age. We became fast friends when we learned that we share a passion for family, food, hospitality, chocolate, and red wine. To my surprise we both were married in fall 1998! You can imagine how thrilled I was when I found out she appeared on Spanish TV cooking “patatas con chorizo.” As I said, we could be twin sisters—she the Spanish one and I the American one! Through Cristina I have learned about Spain, especially about her family and Pamplona where they live. She was born in Logroño (La Rioja), a region known for fine Spanish wine, and is the youngest of three children. In 1987, she went to Pamplona to study economics at the University of Navarra where she met her husband, Javier, who is from Pamplona. She has a master’s degree in human resources and completed an advanced management program at the University of Navarra. She worked for few years in her father’s family business in Logroño, then in a pharmaceutical company, then in a winery in La Rioja. In 1998, she married Javier and settled in Pamplona. They have three children: Javier (10) Blanca (8), and Diego (6). Her current position is director of human resources and planning in a telecommunications engineering company. In her free time, she manages the children’s golf school at Ulzama Golf Club. This is one busy and spirited gal! With all those exclamation points, can’t you feel the excitement? Don’t you already love my “sister?” Now it is time to visit Pamplona as Cristina takes us on a virtual tour. At the conclusion of our visit, we learn how to make one of her favorite dishes. 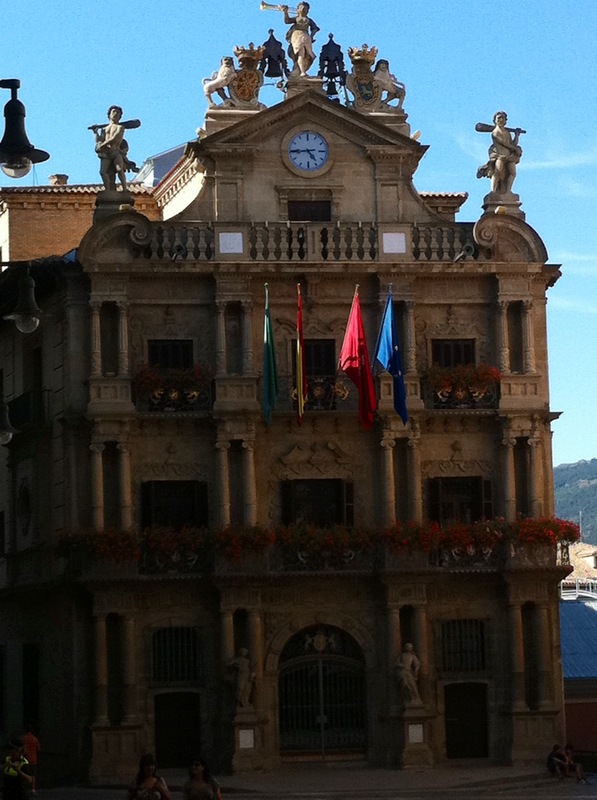 Pamplona is the capital of Navarra, a region of northern Spain that borders France through the Pyrenees. Pamplona, the capital of Navarra, is known internationally for two things: the University of Navarra, and the Fiestas de San Fermin (6-14 July) when the Running of the Bulls, “encierro,” takes place through the old part of town. The population is 200,000 but more than 700,000 people from around the world come for the Running of the Bulls. But Pamplona is more than San Fermin. It is a very quiet town, with many green areas where you can walk and enjoy rich and exquisite cuisine. The old town, or “Casco Antigüo,” is the most visited area of the town. It is difficult to find a day when there are no people on the streets. In this area of the city remain the oldest and most popular shops, some more than 100 years old. 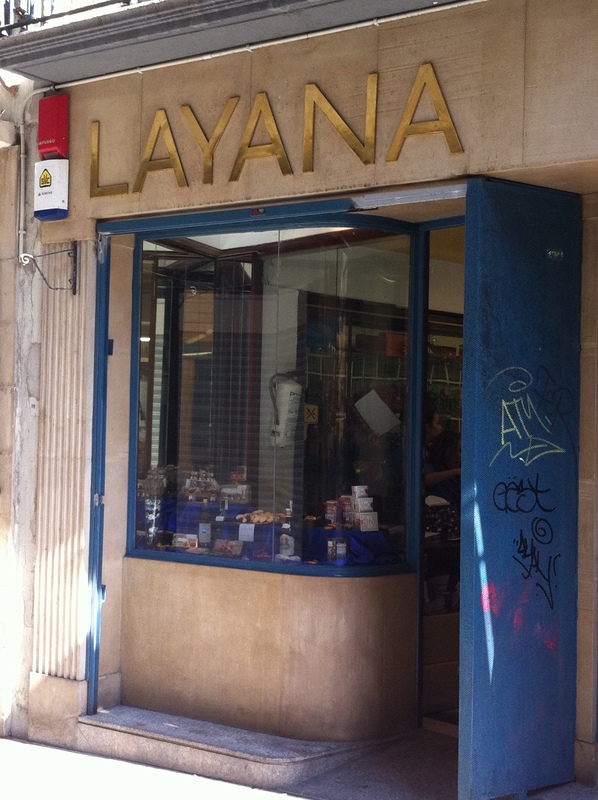 A well-known place in Pamplona is the City Hall, Ayuntamiento, where the famous festival begins with a loud bang—“el chupinazo.” And just in front of the City Hall, there is a small biscuit store named Layana. They make delicious teacakes, completely handmade, and people buy them to pamper themselves. The teacakes are made with sugar, flour, eggs, honey, chocolate, and jam. Layana, in front of the City Hall, makes delicious teacakes. 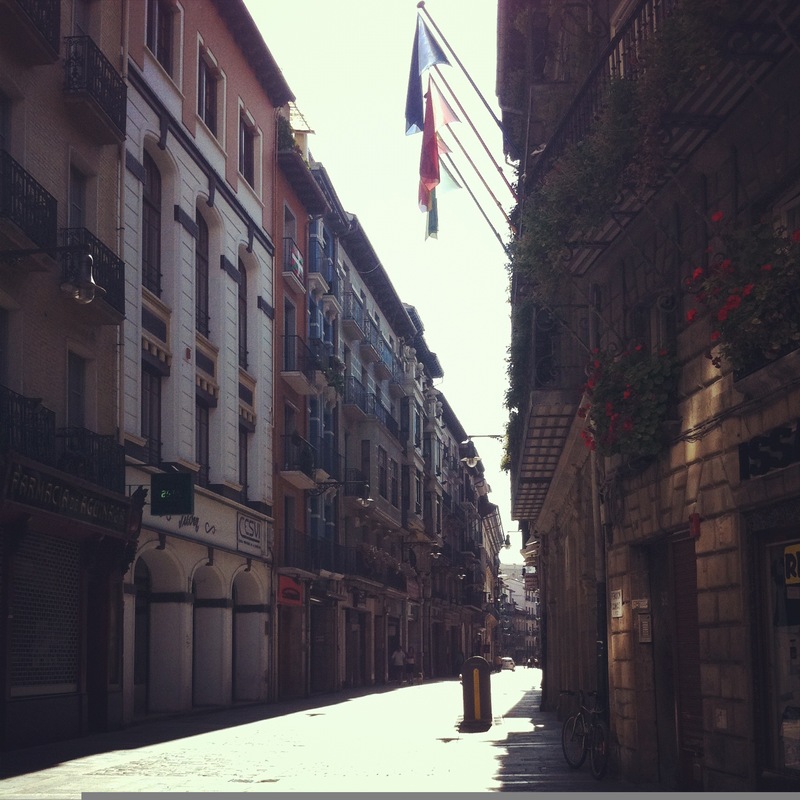 La Estafeta is a famous street and a popular tourist spot because the bulls run through it. Many movies and TV shows are filmed on this street. Beatriz is located here and is a favorite bakery of the Pamploneses. They make small, artisan pastries and chocolate cakes, called “garrotes.” There are always many people waiting in the street to buy their cakes, muffins, pastries, most of them with chocolate—they are delicious! In the small towns surrounding Navarra, there are many gardens, “huertas,” near the Rio Ebro—one of the most famous areas of Spain—where they grow a great variety of vegetables. Some are artichokes, lettuce, tomatoes, borage, which are used in the cuisine of this region. 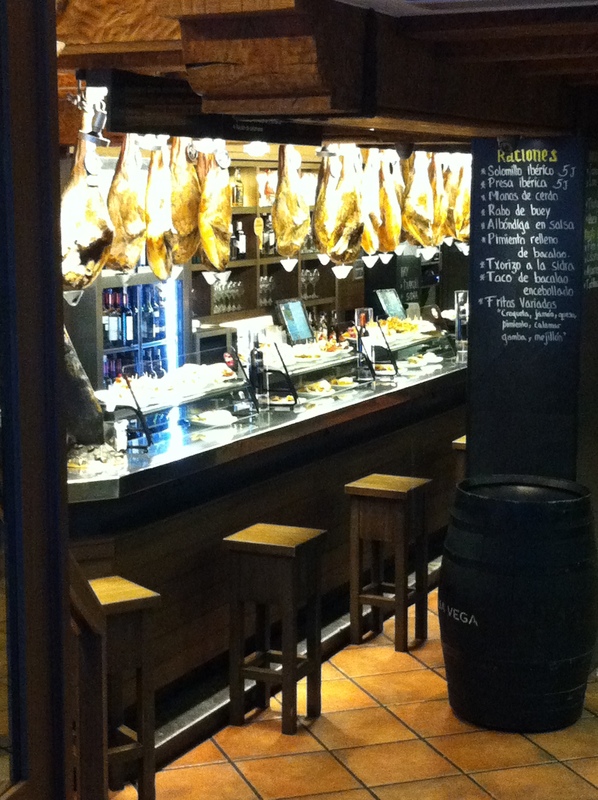 Continuing down the street, La Estafeta, we find many “bares” with their outdoor tables. Here, especially on weekends, people come to enjoy “tapas”—a popular and traditional Spanish food especially in the northern region. 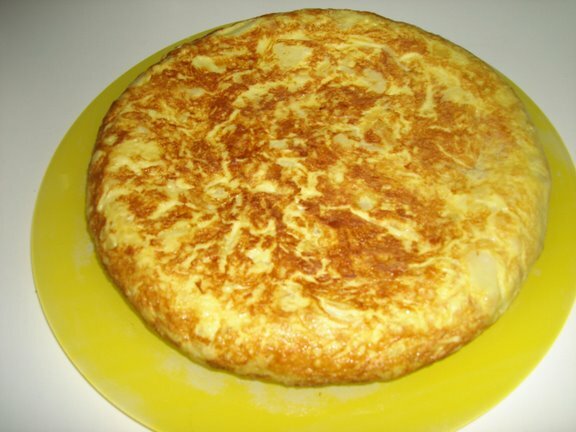 There are so many varieties—ham, (“chorizo”), potato omelette (“tortilla de patata”), mushrooms, (“setas,” “champiñones”) and more. You eat tapas in one bite, accompanied by a good wine. People spend hours and hours visiting the different bares. It’s fun! 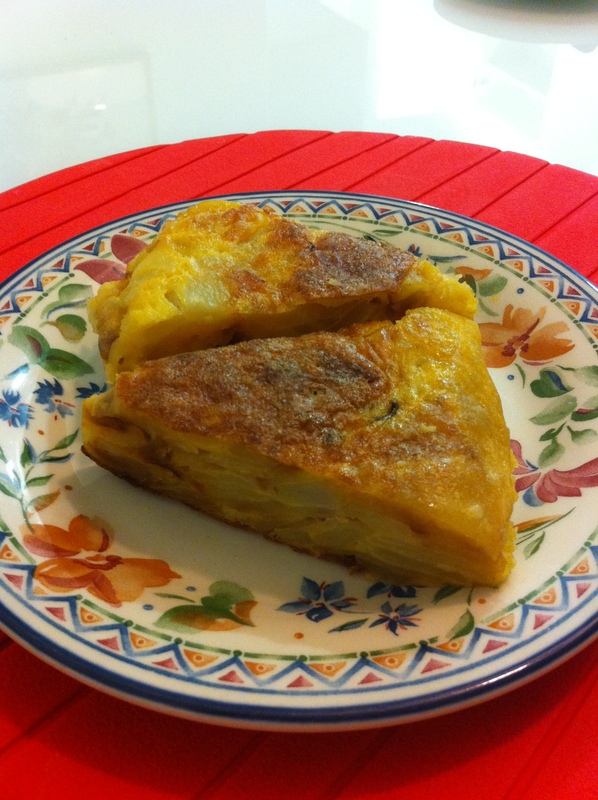 One of the most typical dishes in this area and throughout Spain is the potato omelette— “tortilla de patata.” The most important thing is the good quality of the ingredients. You can’t fail. Some people like to vary the recipe by adding onions, cooking it longer, or using different spices. No matter which way, it is all delicious. Here is my recipe. Peel the potatoes and slice thinly. Fry the potatoes in plenty of olive oil. Beat eggs and add the potatoes in the bowl with the beaten eggs. Everything is left to stand half an hour. Throw in a little salt. Prepare a frying pan with 3 tablespoons of olive oil and pour it all in the pan and let it cook on the stove until done. First, one side, then the other. Approximately two minutes on each side. Leave and do some flips. And “Ya está !!! 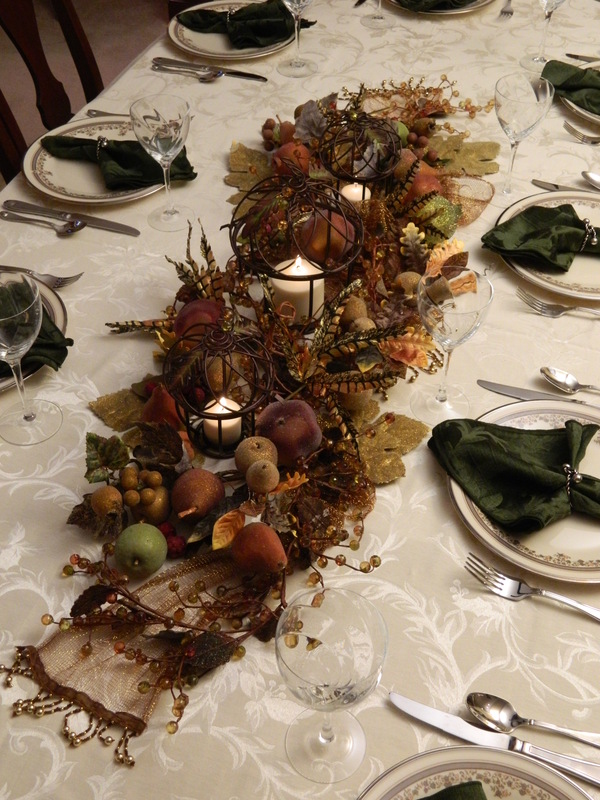 !” simple and delicious…. Enjoy it!! !